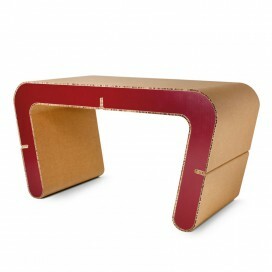 Two-coloured recycled cardboard desk, with a cartoon-like slhouette for decorating in a young and casual style as well as in a environmentally friendly way. 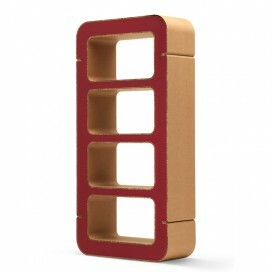 Designed by Giancarlo Zema. 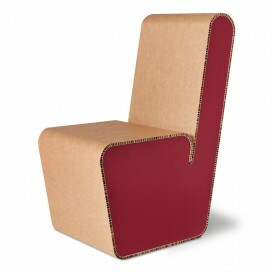 Two-coloured recycled cardboard chair, with a cartoon-like slhouette for decorating in a young and casual style as well as in a environmentally friendly way. Designed by Giancarlo Zema. Two-coloured recycled cardboard bookcase, with a cartoon-like slhouette for decorating in a young and casual style as well as in a environmentally friendly way. Designed by Giancarlo Zema. 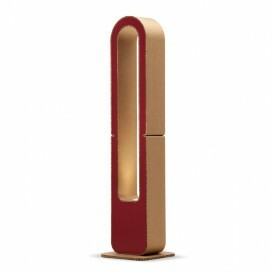 Two-coloured recycled cardboard floor lamp, with a cartoon-like slhouette for decorating in a young and casual style as well as in a environmentally friendly way. LED lighting. Designed by Giancarlo Zema. ORIGAMI FURNITURE is a young Italian brand producing items of furniture which are environmentally friendly, entirely made of honeycomb cardboard and fully recyclable. The cardboard furniture and furnishing elements – suitable for decorating indoor spaces – are conceived, designed and manufactured entirely in Italy.